A Maiden Stakes over 1m 141y on Standard going. Seven three-year-olds: five colts, two fillies, one of those a debutante. Micheal Appleby's *Channel Packet finished second from last on debut when priced 20-1. This step up in distance is likely to help. Today's huge odds suggests others are higher in the pecking order. Shaun Harris doesn't have a wealth of talents but a capable trainer. *Nonnie And Norny is racing for the first time. This bay daughter of Frozen didn't make the reserve when going through the sales with a price tag of £5000. Priced at 100-1, this bay has little chance unless a major surprise. The other five contestants are all relatively fancied. Dalavida is owned by The Black Gold Partnership and twice raced. This French-bred daughter of Kendargent was sold for 68,000G at the yearling sales. This grey caught my attention on debut when outpointed by a couple of talents when looking in need of a greater test of stamina and experience. I was particularly interested in her second start but there was a reason why that hope waned. Stepping up to 1m 2f looked the part and throughout the race, although off the pace, travelled well giving some hope that this February foal may run on. The first two had no worries of a close encounter of the third kind. She looked inexperienced, clumsy and pretty hard ridden. In fairness, she ran on with spirit but didn't really appreciate the task at hand if not a touch lazy. That experience will be to her advantage but whether this slight drop in distance is a positive only time will tell. It may be negative. Dalavida is the type of horse to progress with racing. Quite interested in Magic Pass. Andrew Balding is a class trainer and this chestnut son of Raven's Pass is a homebred for George Strawbridge. This March foal was backed on debut over course and distance when sixth. It may be the case he disappointed that day and connections expected better. It was a fair debut without setting the world alight. The hood was applied first start which may indicate he is a touch nervy or lazy. It wouldn't be a surprise to see a much better performance and if priced in single figures could hold each-way claims. Another trainer who I have a lot of faith is Ed Dunlop. Weloof is a son of Redoute's Choice who runs in the familiar silks of Abdullah Saeed Al Naboodah. He ran back in October when racing over one mile at Newbury. The 16-1 odds suggested he wasn't expected to win but connections probably didn't expect to finish last. With plenty of time on the sidelines, it wouldn't be a surprise to see a different horse today. If priced 13/2 & less SP is worthy of respect. The two favourites: Sufi & Everything For You. Sufi is owned and bred by Lady Bamford. The chestnut son of Pivotal is out of a Galileo mare. He was sent through the sales ring at two but withdrawn. Richard Hannon's charge wasn't fancied on debut over 7f behind a much-hyped juvenile in Via Serendipity (who didn't achieve what Hugo palmer expected in those early starts). Sufi ran well to finish fourth. 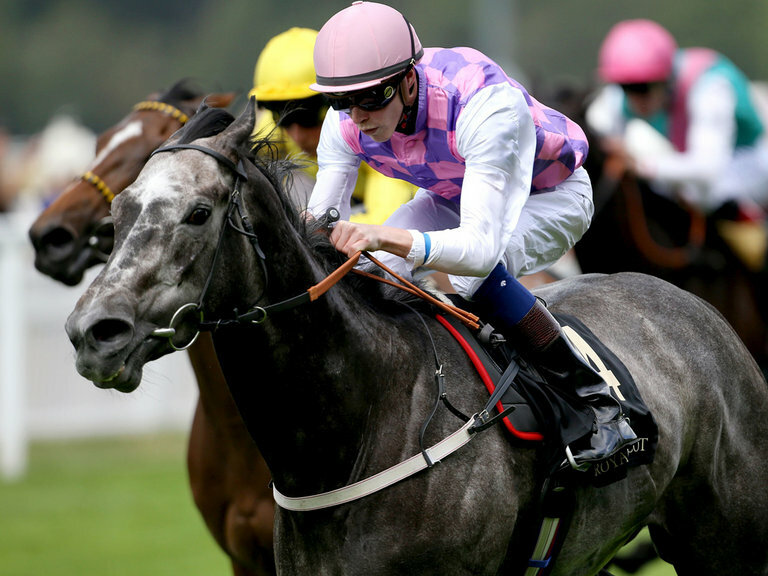 He was expected to make an impact second start when made 9/4J favourite at Chelmsford over one mile. Both races were Plus 10 which indicated some class and he ran well, staying on, behind Hugo Palmer's Omeras. Definitely here with a fighting chance. Kevin Ryan is a significant trainer who has been fielding a few expensive buys of late. Everything For You is owned by T A Rahman who had an expensive debut winner with Eyes On Asha who cost 775,000E. Everything For You is a son of Pivotal and 75,000G yearling purchase. He wasn't best fancied when 12-1 racing over 7f at Newbury last October. The betting indicates a live chance although I do find a number of the Ryan fancies lean on value. Conclusion: A shame this is seven runners and two places for each-way backer. It looks an open heat. Five horses may have claims. The three favourites haven't been seen for a number of months so they need to be fit and ready. Any major drifts in the market may detail they need the run. Sufi ran well last time out. I respect this horse's chance but not sure if I would jump in at short odds. Everything For You needs to improve. This step up in distance will help and holds claims on a statistical front. Weloof achieved little on debut. If short priced it could well be significant. If priced bigger than 13/2 SP I would take a watching brief. Dalavida may not appreciate this drop in distance but may be a little better than she looks. This filly was given a hard race because I suspect connections thought she would do much better at Chelmsford. There was good money for her on the exchanges that day backed from 30-1. This three-year-old looked inexperienced if not lazy. To add to the mix I am interested in Magic Pass. He could well hold each-way claims. I would let the betting settle before making a decision as it may help eliminate one or two contenders.